Instructions Posted Below – Good Luck ! ** Please check your local regulations on Bitcoin before entering. 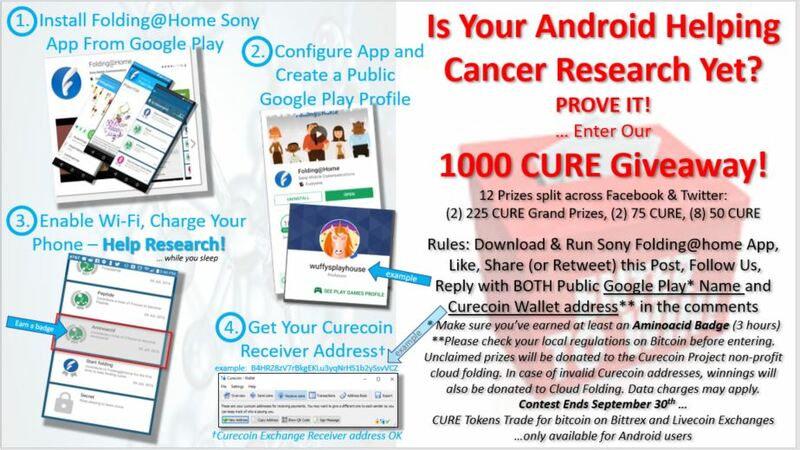 Unclaimed prizes will be donated to the Curecoin Project non-profit cloud folding. In case of invalid Curecoin addresses, winnings will also be donated to Cloud Folding. Data charges may apply when downloading the app – check your plan.